telling their stories to a national audience. The once wildly popular Netflix series "House of Cards" has been canceled after its star, Kevin Spacey, was accused to trying to molest a 14 year old boy. Mark Halperin, once head of ABC political programming and a mainstay on MSNBC as a commentator, lost his job after multiple women came forward to accuse him of sexual harassment. And now 200 women who work in Sacramento, either as lobbyists or state employees or in the legislature, are making similar claims against dozens of men. Stay tuned because we can expect more of this in the coming weeks and months. * ... SPOTTED ON TWITTER: "Life’s too short to wake up in a bad mood. I save mine until I get to work." * ... CHUCKLE: I saw this post on social media from comedian and TV host Pat Sajak: "Staying away from politics and social issues on my birthday. I'll just relax and watch an NFL game and maybe a couple of late-night talk shows." * ... BAD FORM: Denny Evans called out a woman who rear ended his car near Trader Joe's. "We were in the middle lane with traffic whizzing by on both sides so I asked her to pull into the parking lot where it was safe to exchange insurance. I'm still waiting! More than likely she had no insurance info to exchange." * ... GOOD FORM: Hats off to former CSUB ace pitcher Mike McCarthy, who is volunteering his time with a non profit called Baseball Miracles to bring the sport to needy children across the world. His latest effort: collecting new and used baseball equipment (along with cash donations or gift cards) to support a Little League group in the Santa Rosa fire area. 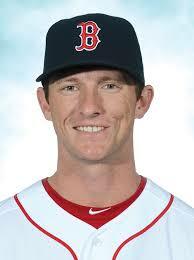 McCarthy, who was drafted by the Boston Red Sox after graduating from CSUB in 2011, is now working as a sales and marketing executive for Lengthwise Brewing. * ... FAREWELL: James and Kathy Robbins, owners of Jane's Jewelers, have announced they are closing down after 55 years in business. The couple is retiring but wrote to "thank the thousands of loyal customers who have made the business a complete success." * ... MAILBAG: A big thanks to reader Ginny Gaines who dropped me this note: "I applaud your stance on the cannabis discussion. Keep up the good work! Many people react to this subject from a very emotional and outdated point of view. 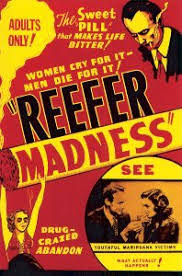 I remember seeing the film 'Reefer Madness' as a teenager. It was laughable even back then. Too bad some won't take the time to objectively review the scientific evidence of the many, many benefits of this amazing plant." * ... MORE GOOD FORM: Here is another example of good form between strangers. David Rhea said he and a group of seniors, all of whom do volunteer work as Friends of the Beale Library, meet regularly for breakfast. "We make the rounds of best breakfast restaurants and this morning we were at Milt's in '08. The restaurant provides us a separate room so that hard-of-hearing types among us can better listen to each other. There were eight of us, and we all have good appetites, so I'm guessing that the average cost of each meal was $14. When it came time for us to claim our separate checks, our waitress told us someone in the restaurant had PAID for our meals, all of us, which meant eight people times $14. There was an audible gasp among us... none of us had ever experienced anything like this. We have no idea who the generous person was, or why. It's another example of 'Bakersfield nice'!"